Weather is a part of everyday life for students. 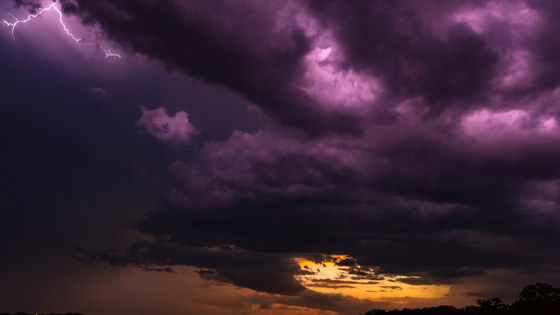 That’s why weather lesson plans are a great way to engage students of all ages in STEM. 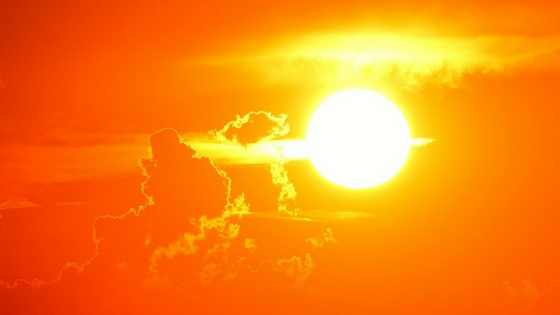 While STEM concepts aren’t obvious in everyday life to most students, most understand – or at least care about – the weather. The weather affects little things such as choice of clothing or activities, but it also affects big things. For example, hurricanes and snowstorms can cancel school, create damage, and even be dangerous to students and their families. And behind all of these real-world connections for students there is a strong presence of science, technology, engineering, and mathematics that goes into forecasting, preparing for, and understanding the weather. Recently, we held a contest celebrating Teachers Appreciation Week and invited teachers from around the country to submit their best weather lesson plans. We’re excited to share with you the winning lesson plan as well as five other honorable mentions. Our meteorologists selected these lesson plans as the most creative and useful ones for teachers to promote STEM learning. 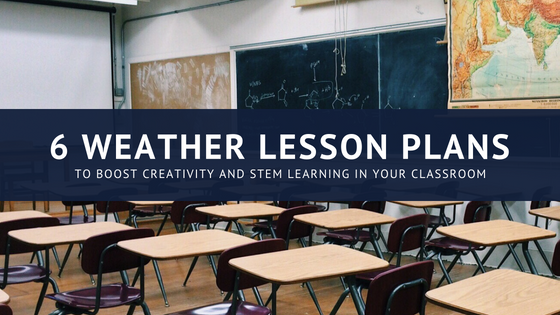 We hope you utilize this array of weather lesson plans in your classroom and encourage you to come up with your own weather lesson plans that promote STEM learning. Please download the printable sheet that includes all the six lesson plans so you can use them in your classroom. Once students finish their engineering designs, take them outside and test them out (with real chocolate, of course!) This is a great group learning activity that keeps students’ interests with both the weather and chocolate bars. With 100% pump failure, which neighborhoods would flood in an extreme rain storm? Students investigate in groups and identify assumptions that must be accounted for in future models. We love this lesson plan because it is a great example of a real-world problem that require professionals to understand and use STEM concepts. What a great high school weather lesson plan! The Weather Journal project is a great way to teach students about data collection and visualization. The journal consists of pages for weather observation including temperature, wind direction, wind speed, sky, and precipitation. There are also information pages that describe different weather tools and a two-page section to graph temperature change throughout the observation day. Hannah Christenson’s weather lesson plan involves students going outside throughout the school year to complete their observations and then compare the weather using their graph. We love the way this weather journal combines important STEM concepts and everyday topics, like clothing choice. 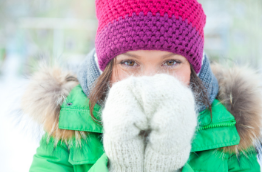 We highly recommend giving this weather lesson plan a chance! 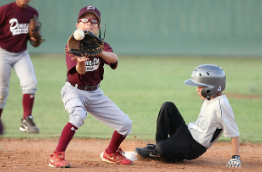 The next lesson plan from our contest is this one from Suzanne Banas. This lesson plan instructs students to use NEO (NASA Earth Observations) satellite images and NIH ImageJ to animate the images. This activity helps eighth grade students explore the various aspects of climate change and then report on the different areas of climate change with a synthesis of the observed information. The lesson plan concludes with students comparing their findings to research and developing an action plan. We love this lesson plan because it really focuses on the problem-solving and cross-cutting concepts sections of the Next Generation Science Standards. This weather lesson plan is extremely detailed and therefore very easy for you to replicate in your classroom. It’s impossible to be a meteorologist for only a day, but our team loved this lesson plan because it fosters a positive relationship towards their profession. In this activity, students become meteorologists for a day and gather weather data for any city in the world. Once they have the data, it’s time to complete the other half of being a meteorologist which is presenting! Students love presenting a live weather report and learning about a new area of the world. This is one of those projects that really applies to students who are very data-focused and students who are more outgoing and love public speaking. The last lesson plan on our list is a very exciting one that focuses on weather balloons. Weather balloons are important instruments that help meteorologists and other climate scientists gather data from the upper atmosphere. For this weather lesson plan, you’ll have to access local weather balloon data. Your students should use this data to answer a variety of questions that combine different STEM concepts. You can ask questions about temperature, humidity, clouds, and more! This lesson plan is perfect for teaching students how to analyze data and cut through the noise to come to actionable conclusions. Which lesson plan is your favorite from our list? Let us know in the comments below and feel free to post your own lesson plan ideas as well. The best part about this contest has been all the enthusiastic entries from teachers really pushing the boundaries of education. We commend all teachers for their hard work both in and outside of the classroom. Thank you for nurturing tomorrow’s leaders and keeping up with the Next Generation Science Standards.